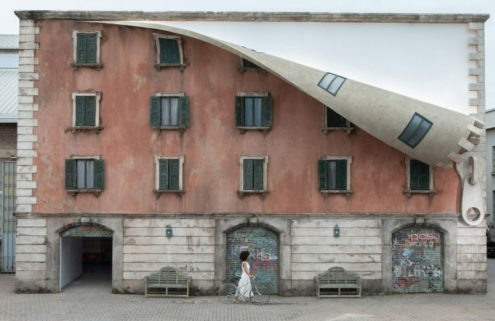 If you enjoy your antipasti with a side of architecture, you’re in for a treat. 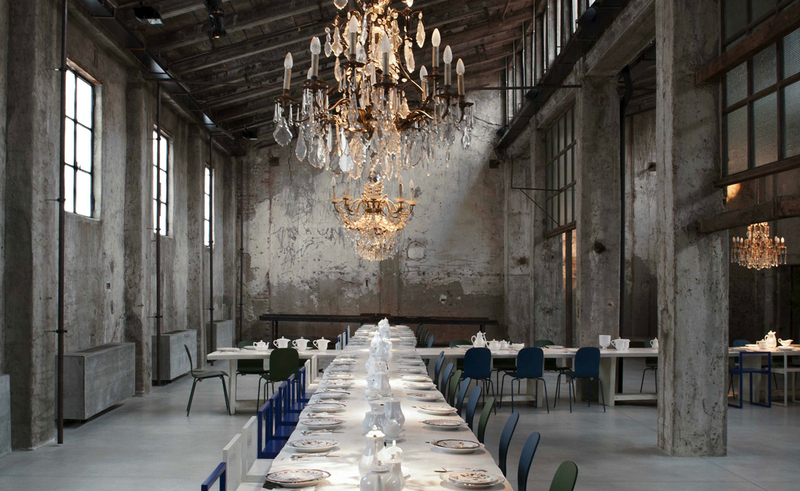 We’ve picked out 13 of the best Milan restaurants and cafes for design lovers. 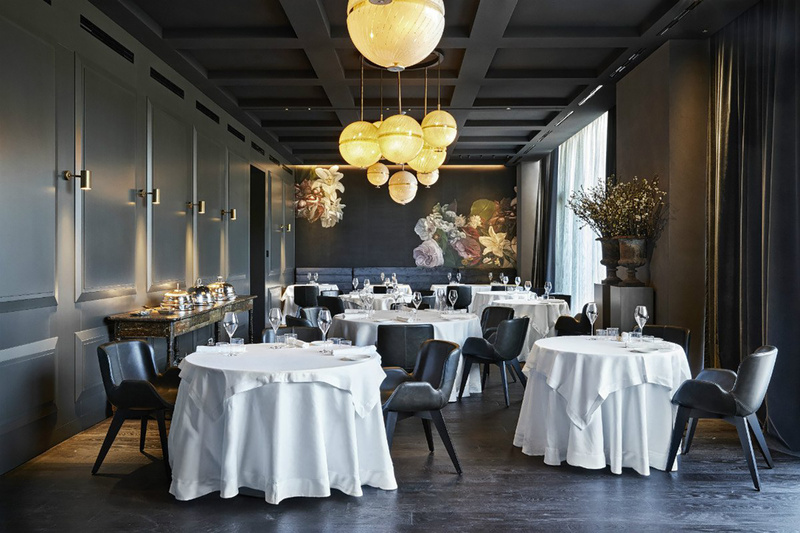 Whether you’re looking for a pit-stop between fashion shows or to power up for the Salone del Mobile, these restaurants are the perfect place to refuel. 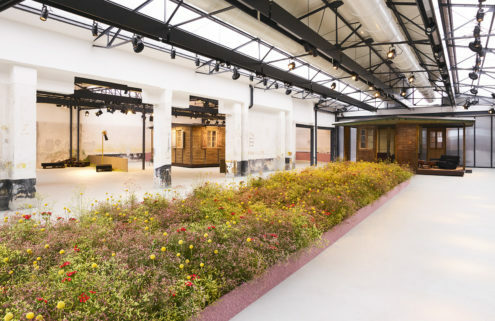 Architects Fanny Bauer Grung and David Lopez Quincoces transformed a 16th-century former monastery into Six Gallery, comprising a design gallery, restaurant, florist and studio for their practice. Sixieme Bistrot is set around the building’s sun-drenched courtyard and has been filled with tropical plants and wicker chairs, with creeping plants climbing overhead. Brickwork is painted dark grey, and arched monastic windows and parquet floors have been restored. Food puts a contemporary twist on Italian dishes, including polpo alla griglia con caponata di melanzane and orecchiette with datterini sauce baked in vanilla with burrata and parmesan, and there’s a cocktails list curated by Bluvertigo musician Sergio Carnevale. 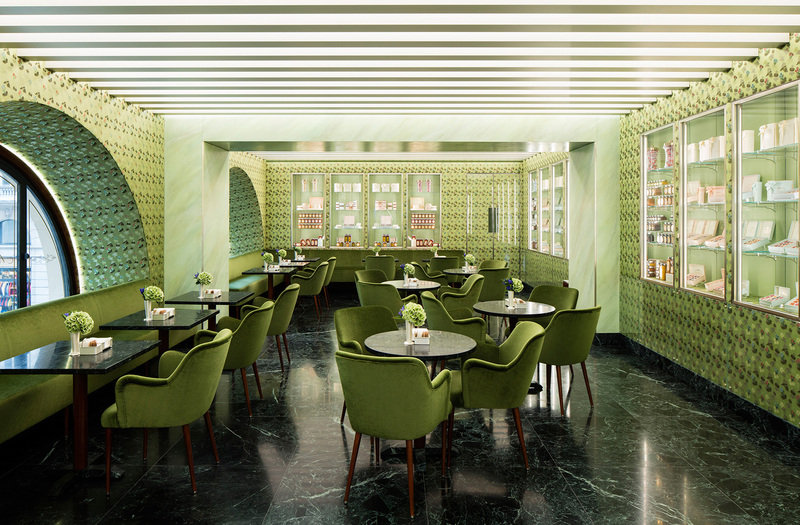 Film director Wes Anderson turned his hand to interior design at Prada’s Bar Luce, which puts a kitschy spin on the typical Milanese cafè. ‘I tried to make it a bar I would want to spend my own non-fictional afternoons in,’ explained Anderson, who spliced period features with bright colours. 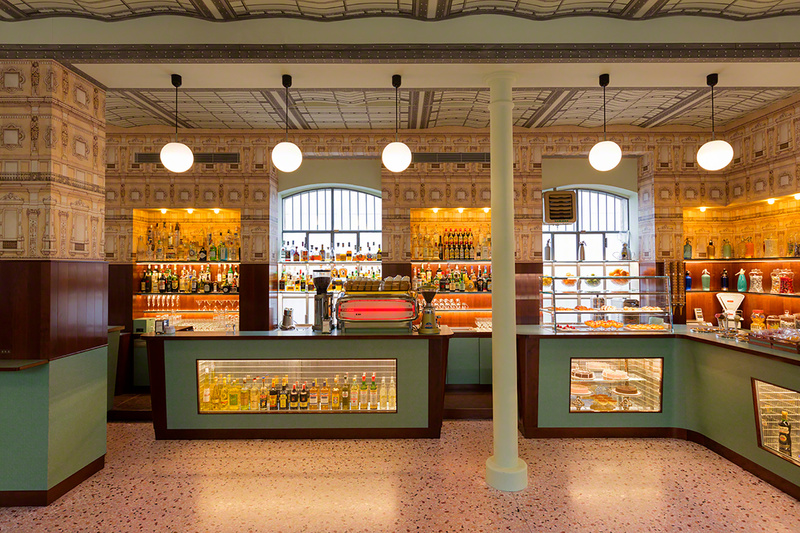 The building’s opulent arched ceiling – designed as a ‘miniature’ replica of the Galleria Vittorio Emanuel’s vaulted glass roof – is paired with retro 1950s Formica furnishings, pinball machines and a jukebox to create a film-set space where you can grab a light bite and drink before exploring the Fondazione Prada. Vegan cuisine is the order of the day at restaurant Soulgreen. Design firm Creneau International honed its pared-back interiors, which feature r‘délabré’ plaster walls and concrete floors. The 19th-century building’s original wooden ceilings have been rediscovered and are crossed with industrial pipes, which double as a framework for hanging plants. Soulgreen’s menu includes small plates like ‘Aquapazza’ (bell peppers, potato, sundried tomatoes and olives) and vegan incarnations of traditional hearty pasta dishes. 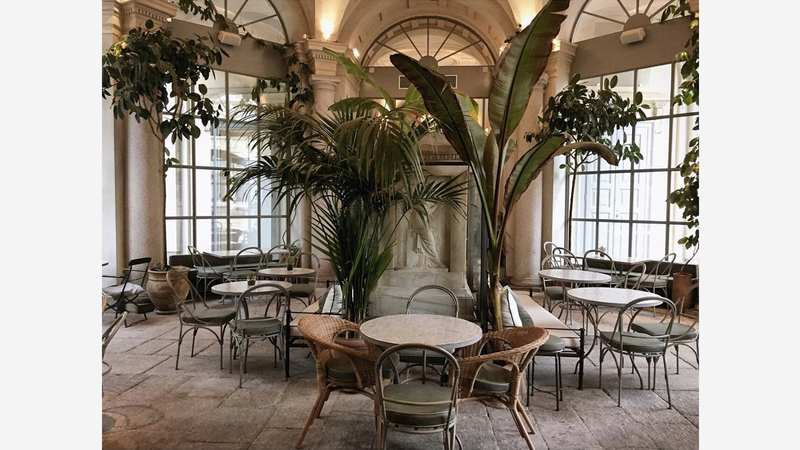 This winter-garden bistro takes over the 18th-century former orangerie and carriage portico of the Galleria d’Arte Moderna in Via Palestro. 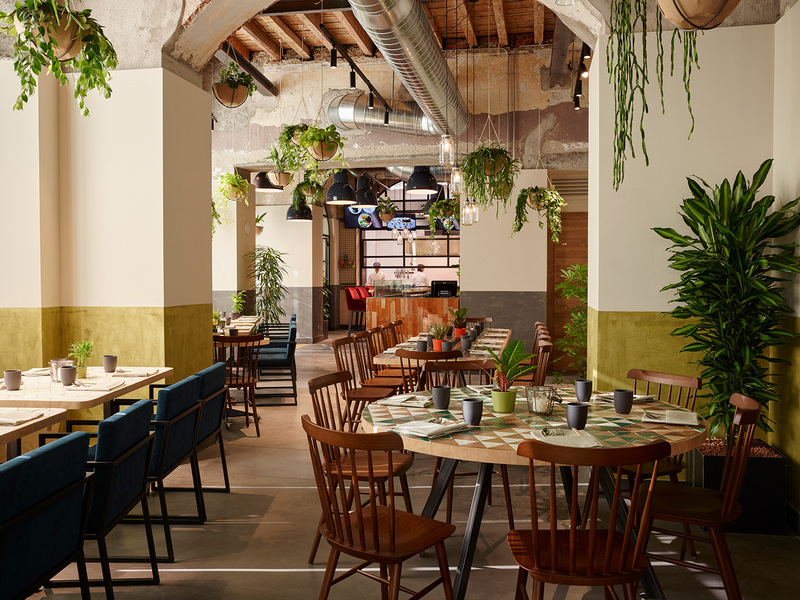 LùBar’s simple space is light-filled thanks to oversized arched windows, and decked in pot plants and palms that add burst of colour to the otherwise understated interiors. Traditional Sicilian street food staples such as arancini and cannoli feature on the menu, while more substantial offerings include baked panelle palermitane, eggplant balls, and pasta with bottarga. 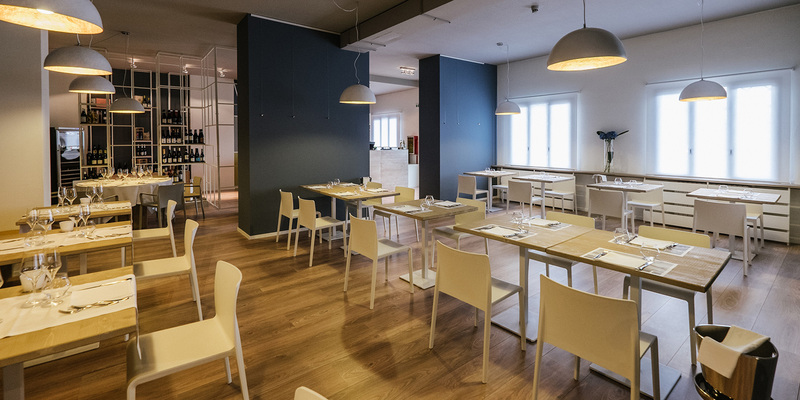 Though British architect David Chipperfield may have distanced himself from the Museo delle Culture di Milan (Mudec) project, the homely Art Deco feel of its Fabio Rotella–designed restaurant has inspired new confidence among the Milanese. Try the risotto with beetroot and gorgonzola. 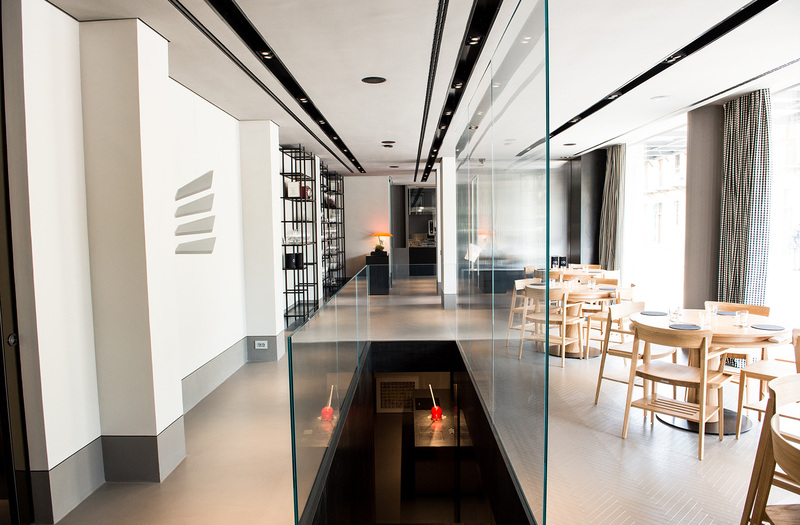 Chef Giancarlo Morelli’s eponymous restaurant in the city’s new Hotel Viu is designed by Molteni’s Nicola Gallizia. In keeping with Morelli’s culinary philosophy of using few (but complementary) ingredients, the restaurant’s interiors are simple and understated. Dark walls, wooden floors and 1970s globe chandeliers set the tone, while Morelli designed the restaurant’s kitchen himself. 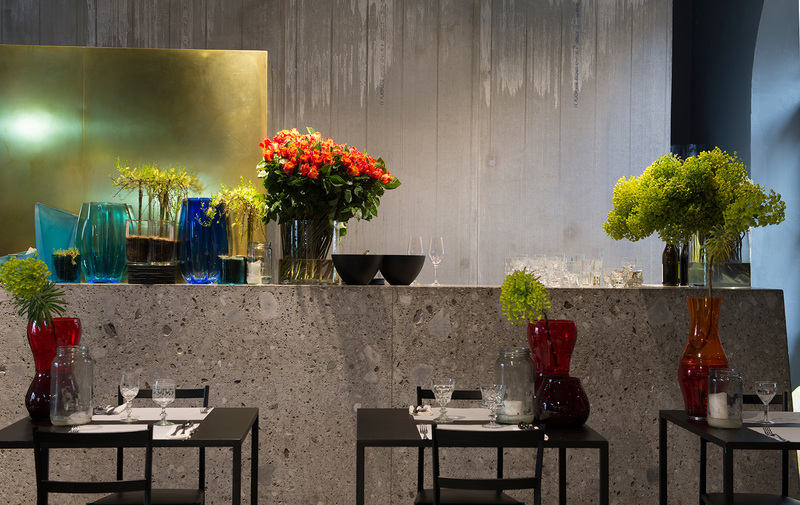 Potafiori is part florist, part bar-cafe, with the look of a minimal spa. Designed by Storage Associati, the space is as unique as the woman that presides over it: jazz–crooning Rosalba Piccinni, who will likely serenade you while clipping at blooms. Food is traditional Italian, with modern touches. Try Fassone, superior beef from the nearby Piedmont region. InGalera is set inside the Bollate medium security prison to the north of the city – ‘in galera’ is slang for ‘in prison.’ Almost entirely staffed by inmates (apart from the maître d’ and head chef Ivan Manzo), and with interiors by Augusta Comi, the Milan restaurant pairs bold meats and fish with fresh, zingy flavours. D’O can be found some 20km to the west of Milan in Cornaredo, but is a worthy culinary pilgrimage. 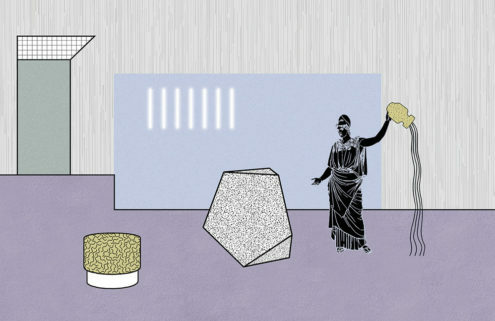 Here, Michelin–starred chef Davide Oldani practices his ‘Pop Cuisine’ philosophy in his newly relocated restaurant (only a few doors down from the original) designed by Piero Lissoni, which overlooks a tranquil square dotted with public sculpture. 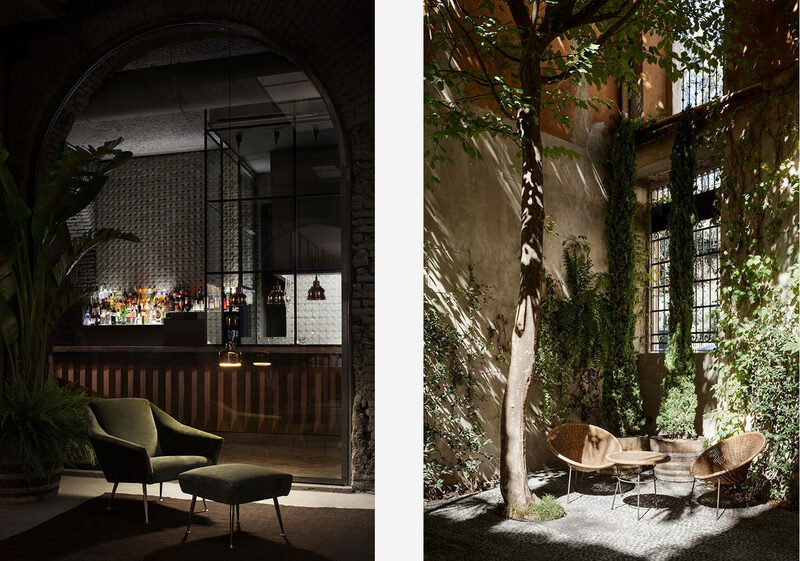 Located just off the bustling Naviglio Grande, inside a former porcelain factory, Milan restaurant Lume is an oasis of calm away from the spritz–quaffing crowds (and the mosquitoes). 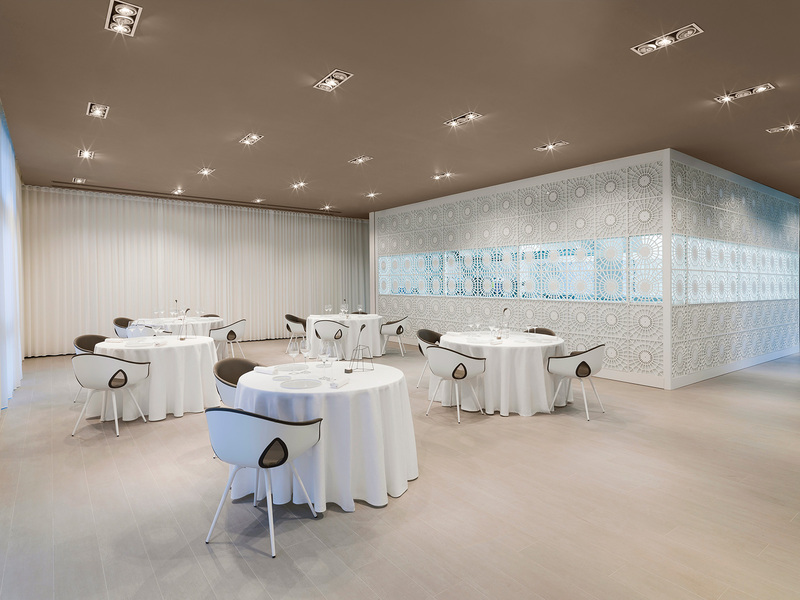 Designer Monica Melotti’s whitewashed interiors and a clean, confident menu exude an almost zen–like quality. We recommend chef Luigi Taglienti’s roasted lamb fillet, with white melon and vermouth spring onion. This renowned 200-year old Milanese patisserie – now owned by Prada Group – opened its third outlet in the Galleria Vittorio Emanuele II, the grand Giuseppe Mengoni shopping arcade opposite the Duomo. Nibble on delectable chocolates and pralines while taking in your pistachio green surroundings. 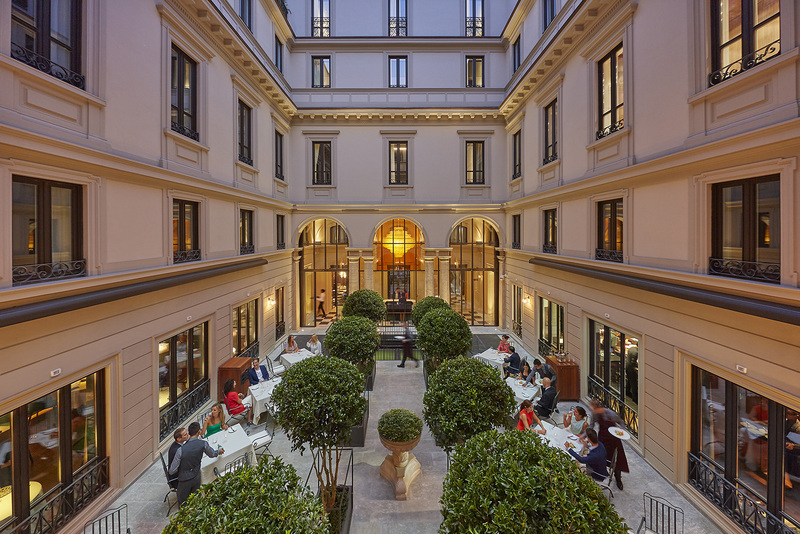 The Mandarin Oriental hotel – where the Michelin–starred restaurant Seta resides – is housed in four 19th–century buildings, recently restored by Antonio Citterio and Patricia Viel in the heart of the city’s historical centre. 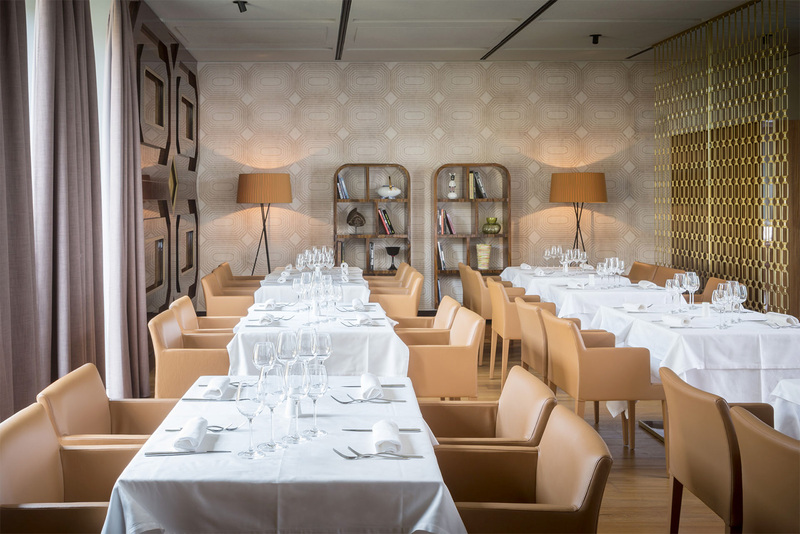 The Milan restaurant boasts an elegant courtyard where diners can feast on chef Antonio Guida’s southern Italian, Tuscan and French-inspired cuisine.